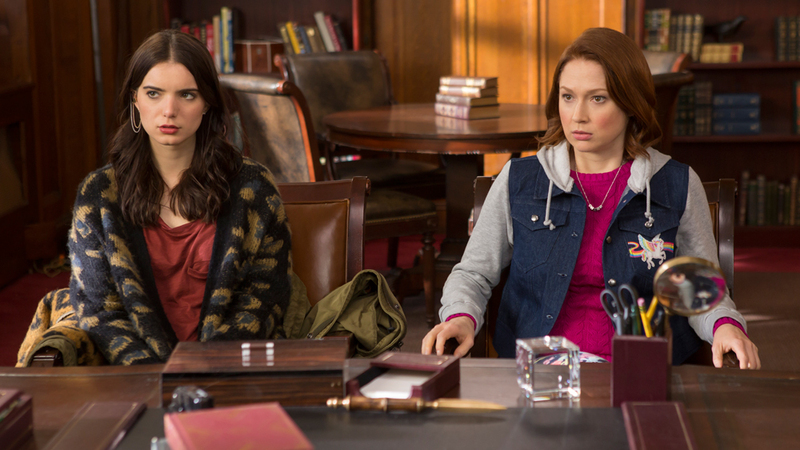 “Unbreakable Kimmy Schmidt,” created by Tina Fey, was Netflix’s first original sitcom. Debuting in 2015 and running for four seasons, “Unbreakable” garnered widespread critical acclaim for its unique characters, delightful character arcs and fast-paced humor. However, when finally asked to form a resolution, “Unbreakable” finally broke. For the majority of this six-episode final season, it would not even be obvious to an unbeknownst viewer that the show is wrapping up and does not make itself entirely clear that this is the case until the final episode. The first five episodes are, mostly, business as usual for the characters, besides the blatantly out-of-place “Sliding Van Doors.” In this 50-minute episode, it is explored what would have happened if characters in the show made one slightly different decision early in their lives and how this butterfly effect would impact most of their lives going forward, shaping them into completely different characters than they are now. While it was certainly an interesting premise to see these characters in completely different lights and scenarios, the episode overall felt extremely out of place in a short, final season that already feels rushed to a degree. In essence, it feels like a 50-minute tangent that a writer went off on once that took away from time to formulate an actual, more fleshed out conclusion. One of the brighter moments of the season comes in the penultimate episode “Kimmy Is Rich*!” This episode essentially explores the paths that the characters need to go down to reach the situation they hit in the finale. Kimmy Schmidt (Ellie Kemper) sells her company for a large sum, Jacqueline (Jane Krakowski) tries to hold onto a major client against a competitor and Titus (Tituss Burgess) discovers a long-held industry secret about the play “Cats.” All of these plot developments lead in surprising and humorous directions for each character, and the episode as a whole is very reminiscent of the earlier, better seasons. Upon reaching the series conclusion, it quickly becomes clear that this is the ending of many major character arcs and is likely the series conclusion. However, the way the stories wind up, while certainly in line with the shows cheery nature, feel very opposing to the nature of some of the characters presented to the audience, and just overall underwhelming for others. The bright spot here is Titus, who reaches a perhaps predictable but overall deserved and joyful resolution. However, Lillian (Carol Kane) ultimately fails to get the justice she had been working towards, Kimmy ends on a success that she spent seemingly little time caring about throughout the series and fails to address her character background in any significant way and Jacqueline loses most of the development that she had been working on regarding her personal independence. The resolutions are all painted in a deservedly happy light that makes it seem wonderful on a surface level, however most of them felt extremely underwhelming or contradictory when examined beyond the mere presentation of them. Despite the extremely underwhelming finale, “Unbreakable Kimmy Schmidt” is, as a whole, one of Netflix’s best originals. It is original, quirky and constantly funny, with stronger central character relationships and development than on almost any other modern sitcom. This makes this disappointing finale feel even more upsetting, since one of the best is now going out on a low-note once again. This also makes it yet another Netflix original to go out on a low-note, adding to the list set by “House of Cards” and “Bloodline,” amongst other shorter-running shows that were cancelled suddenly. There may be too few originals that have ended to tell if Netflix originals truly have a widespread issue with endings, however the finale of “Unbreakable Kimmy Schmidt” certainly makes a strong case for this.